Race is STILL on for Sunday, Feb 24. Be prepared for rainy conditions . 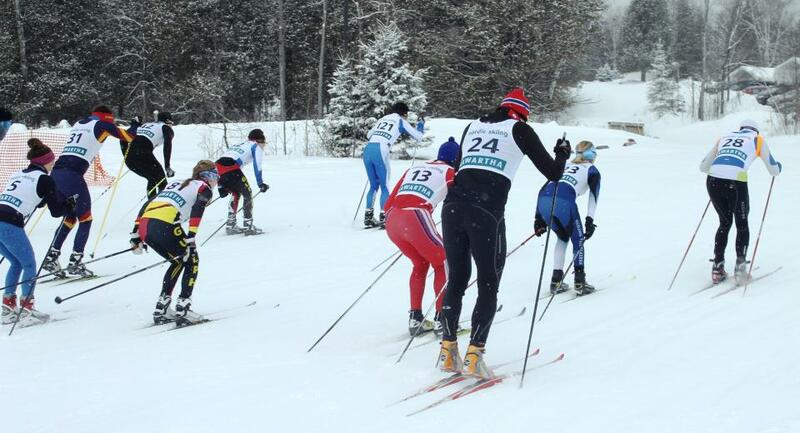 Kawartha Nordic is excited to be bringing the skiathlon race format to the 2019 Southern Ontario District Paraffin race series on Sunday 24-Feb-2019 and registration is now open on zone4.ca. A much longer and more storied, but informal version of the skiathlon has been a staple event at Kawartha Nordic for many years. This event is meant to be a fun introductory race experience, for skiers of all ages and abilities. Save the date and sign-up today. All races, except the 2-person relays, are part of the SOD Paraffin race series. The first race wave start is scheduled for 10am Sunday 10-Feb-2019. A team captains meeting will be held at 9am in the WoodFine Chalet. All race day registrations are $40/person. Please pay by cash/credit/debit at the trailhead rental shop, and bring your receipt to the registration table in the WoodFine Chalet before 8am. If the race is cancelled due to insufficient registrations or weather, a full refund will be provided minus a $5 processing fee. The $1.50/skier Zone4 fee is also not refundable. Requests for individual refunds will be considered on a case by case basis. Those interested in Paranordic categories, should contact the Chief of Competition, Todd Harris RaceKawarthaNordic@gmail.com, in advance to discuss course options. Each skier will complete the first half of the race using Classic technique and the second half with Free technique. Skier's will have an assigned space in which to leave their Skate gear, for the mid-race transition. You may wish to bring a small mat or carpet square on which to stand, if changing your boots. The time taken in transition will be included as part of the racer's total elapsed race time. The starting team member will ski with the Classic technique and, once tagged by their teammate, the second team member will ski with Free technique. Both members of a 2-person relay team must be registered individually, and with the same team name. Relay teams will not earn points in the SOD Paraffin race series. Start groups for all races will be determined once registration closes, and may involve collapsing genders or ages. Start position within a group will be determined by random draw, with all race day registrants starting last. The 9 km & 18 km races will follow a 4.5 km loop, while the 3 km and 6 km races will use a 3 km loop and the 1.5 km race will use a 1.5 km loop. While the course will be marked, our trails will be open to the public, and you could encounter both non-racers and and participants competing in other races during your race. All racers, parents and support crew are asked to uphold the SOD Paraffin race series requirement that only regular, non-fluorinated paraffin glide wax be used on racing skis for all categories, including Open and Masters ‒ no low, mid or high flouro waxes, hardners, gels, liquids, powders, etc. This restriction does not apply to grip waxes. We are also looking for volunteers to help make this event a success. If you or anyone you know, might be interested, please have them signup online. Proceed to checkout, once you have added the information for each skier to your cart using the "Add First Person", "Add Second Person", etc buttons. An email receipt will be sent upon successful payment completion. If you are unsure whether your registration and/or payment was successful, please do not try again as we will be unable to refund the additional processing fee. Please contact membership@kawarthanordic.ca for registration assistance.